Laying the table for the Most Wonderful Time of the Year! What an autumn this one has been! I haven’t stopped to take a breath (not even over half term) and now I am begging for the winter break to hurry up so I can put my feet up, catch my breath and make plans for 2019. Is anyone else feeling the same way? I’ve talked before about cooking Christmas dinner and about which wines to choose for Christmas in fact, I have a whole category labelled Christmas with all of my favourite things in there but today I am concentrating on how to make my table look wonderful. 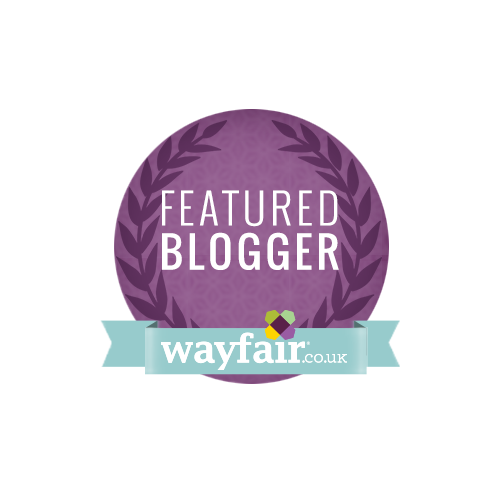 Being a Wayfair Home Expert means I get to stay up to date on all of their fabulous products (and there are tons of them!) One of my favourite posts was the bedroom wall art and I still really enjoy this corner of my home. Wayfair was recently looking to peek inside blogger’s houses and see what preparations they made for Christmas. I replied that for me, my dining table takes centre stage and enjoying good food and wines with my family. There will be 12 of us this year on Christmas day, both of my brothers with their crew are joining us and it’s always a day filled with love and laughter. The brothers are excellent chefs and everyone in the family has grown up appreciating good food and learning to cook it. This year will be no exception. Everyone will be bringing some of their favourite products to the table and our eating starts on Christmas Eve and goes through to Boxing Day breakfast, that is a lot of eating! I mentioned this in my email to Wayfair and they were curious to see what I would come up with to make this feast as enjoyable and memorable as past years have been. They gave me a budget of £75 and I started to browse their shelves. What do you think? Which product do you like best? Here’s wishing you the most wonderful Christmas this year.